So last Friday when i posted this finish, i updated my 3rd quarter FAL list, and i have to say, not a lot of progress is being made for this round. I've managed to finish four things on the list so far... my list has 18 projects on it!! Where did i fall off the rails people?! So i have about three weeks to finish 14 projects, so. not. going. to. happen. And i have to tell you folks, my fourth finish opened up a can of worms that i'm unable to control! Anyhoo onto the WIP of the day. Due to an unscheduled redecorating marathon in the bedroom, no sewing was done this past weekend. So i've fallen a bit behind in my Penny Sampler progress. The minute the boys were out the door today i busted out the stash and started working! and i'll be all caught up! Now if i could just get caught up on my FAL list! Oh well, there's always next quarter! 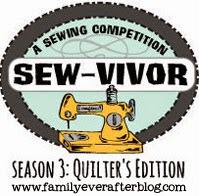 Linking up over at Freshly Pieced, My Quilt Infatuation and 627handworks and you should too! An AMH bedroom? I would seriously never want to leave it! LOTS of progress posts, please? oh that pillow is fabulous! Can't wait to see your bedroom (too creepy?)! Wow!! The black looks totally amazing as a background for AMH!! Yes! That girl who wrote the Dreden star tute is hilarious; I am lucky to know her :). I think that. Bedroom redo definitely counts as a 3rd quarter success! I love, love, love the colorsin your Penny Sampler too! I love that an entire bedroom makeover is happening all because of a charm pack ;) That Gina - she has a lot to be responsible for hehehe! Oh wow I absolutely love that pillow! I can definitely see how it justified a total redecor of your room. Tooootally legit rational I think! WOW! I love that pillow. I can see why you designed a room around it. Those birds are ahhhdorable! Omg, I thought that was a dresden. It's a dresden and a star! My two favorites mixed together. Thank you for adding the tutorial. I love the pillow and the fabric! I am with Jess please post lots of pics of your makover! What a gorgeous star dresden pillow! The dark dark background with the bright colours is really stunning. And remember, you don't HAVE to finish anything by any particular time! It's good to have goals, but don't let them bog you down. One thing at a time, and if you're not enjoying what you're working on, move to a different one of them. Don't forget to have fun! I really love your modern Dresden pillow and your birds are definite cuties! The pillow looks pretty good to me. Your bedroom will be lovely with all that changes going on. Gah, that pillow is so cute! Loving the little cross it makes in the middle. All kinds of negative space awesomeness going on! such a cute pillow, and penny sampler blocks. isn't that always how redecorating comes about? one thing leads to another! 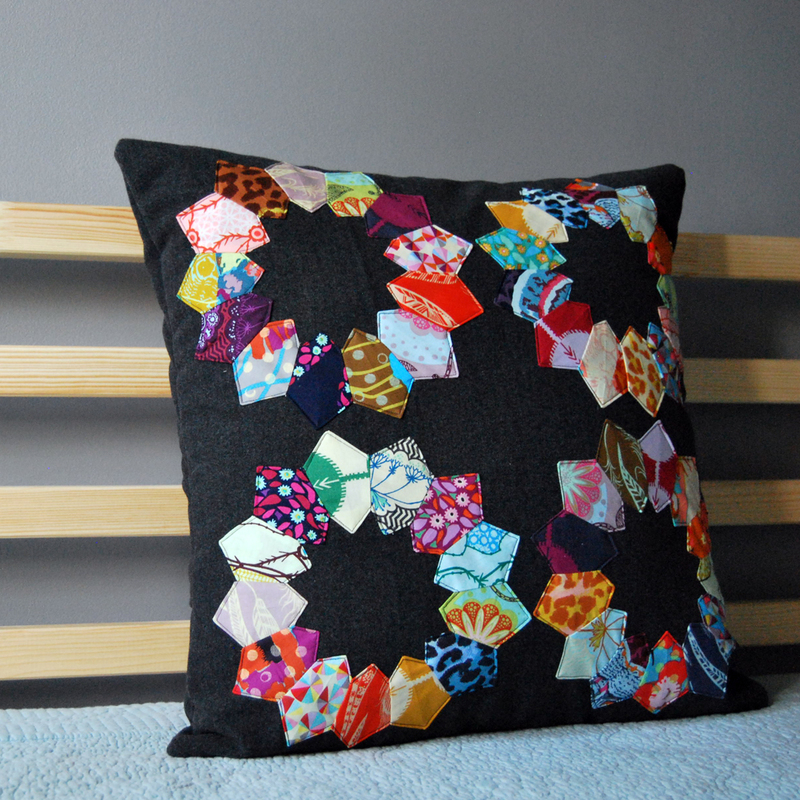 And I must say that this pillow was certainly an inspiring piece to kick off the redo! 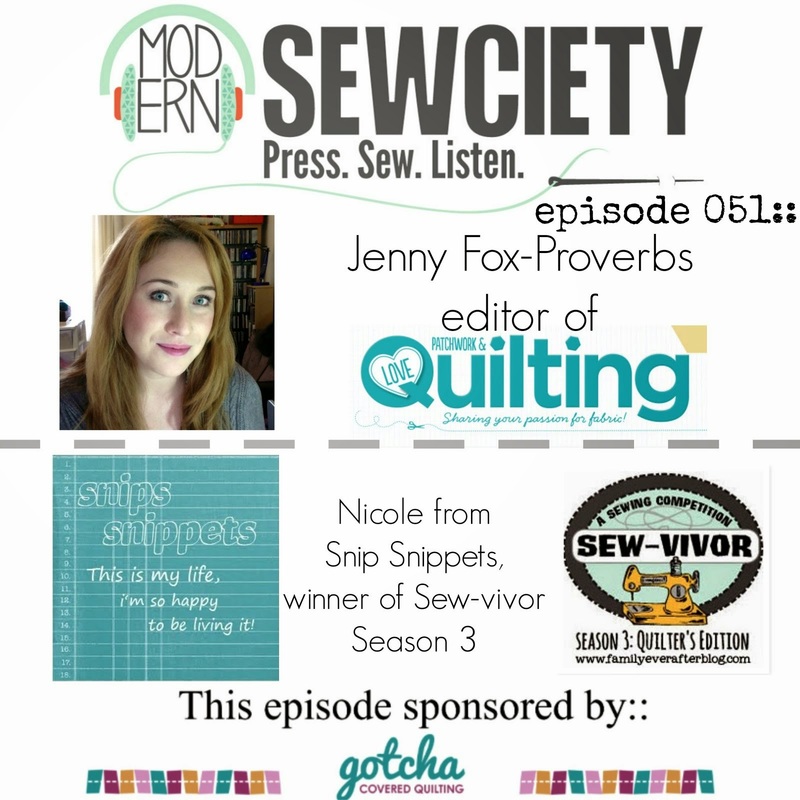 I'm so glad you linked up with Needle and Thread Thursday! No worries! You'll get it done when you get it done! Excellent pillow and I love the birdie. The pillow il looks great. That is one good list! Good luck on your progress! I'm with your my list isn't coming down as much as I would like but better to have some progress than none. Love that cushion ....fabulous. I love your pillow and I love the story. I once bought a new sofa, and it led to a redo of the entire main floor of my house. I so get how that happens.